A failing valve can cause catastrophic damage to any vessel or system. However, spotting the first symptoms and preventing a failing valve can help to avoid these types of situations. To help you understand the symptoms of a failing valve and what you can do to prevent it, read the guide below. Valves are delicate devices designed to ensure safety and proper operation. With that said, valve failure is quite common. Failing valves will emit warning signs at the first hint of trouble. 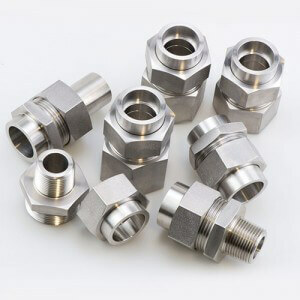 For example, failing check valves will start to vibrate and even lose some internal parts when problems begin to arise. Other symptoms of check valve failure include reverse flow and excessive component wear and damage. Check valves will also emit noises as they start to break down. This situation is referred to as “water hammer” and is caused by the disc slamming into the seat of the valve. Water hammer can lead to ruptured pipelines and severe damage. To alleviate this issue, installing a faster-closing check valve is recommended to prevent pressure surges. Valves will also start to stick and leak as they begin to break down. Sticking happens when the valve is stuck in a certain position, and it occurs when debris gets into the disc and body bore. Leaks stem from a damaged seat or disc or contaminants in the pipeline. As stated previously, faulty valves can cause severe damage to systems and vessels. However, the following preventative maintenance tasks can help to prevent failure and extend the life of each valve. Contaminants and debris in any system can lead to valve issues and failure. Keeping the pipelines clean is one of the easiest and most effective ways to prevent this. To prevent debris from entering the system, install filters and covers where appropriate. For liquid systems, flushing the pumps also helps to keep the system clean. A flush should be performed before shutdown to minimize the buildup of contaminants. Use the appropriate lubricant for valves to enhance performance and ensure proper operation. Plus be sure to reapply lubricant regularly to extend the life of each valve as well as the system they’re working with. The most important preventative measure is making sure that the valves are used properly. 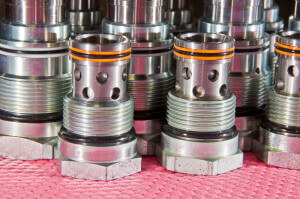 For example, it’s critical ensure that each valve is installed and maintained correctly. On top of that, selecting the right valve for each application will help to prevent damage and valve failure. Finally, valves need to be replaced regularly to ensure optimum operation and safety. So once the valves in your system start to emit signs of trouble, it’s best to replace them with a new part immediately. Failure to do so will result in ultimate system failure. To learn more about the valves at CPV Manufacturing, contact us now.